Mountain View police on Saturday arrested a man after he forced another man to drive him from San Jose to a Kentucky Fried Chicken location in Mountain View, according to police. 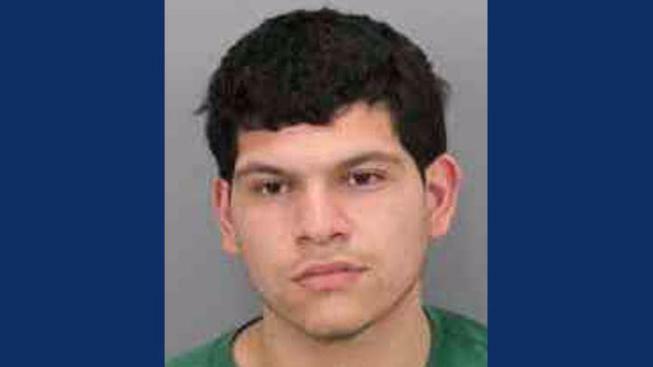 The chaotic string of events unfolded around 3 a.m. Saturday when 21-year-old transient Alberto Ulloa-Avila allegedly opened the passenger door of a random man's car in the area of 14th and Santa Clara streets in San Jose, according to Mountain View police. Ulloa-Avila allegedly hopped in the car, ordered the 31-year-old driver to take him where we wished to go and threatened to physically hurt the driver if the driver didn't do as he said. After arriving at the KFC located near El Camino Real and Castro Street in Mountain View, Ulloa-Avila tried to rob the driver, police said. That's when the driver ditched the vehicle and started to run away. Ulloa-Avila moved to the driver's seat of the vehicle and proceeded to drive away before promptly turning around and returning to the KFC, according to police. Ulloa-Avila then started chasing the driver across El Camino Real. Arriving officers eventually found the two men along El Camino Real, according to police. Ulloa-Avila was taken into custody without incident. Ulloa-Avila was arrested for kidnapping, making criminal threats, vehicle theft, violating a protective order and driving on a suspended license, according to police.